Kuraray proudly introduces restorative dentistry’s newest adhesive bonding agent, CLEARFIL SE PROTECT, another epoch-making adhesive bonding system in the tradition of Kuraray’s other adhesive firsts. Kuraray introduced the first total-etch adhesive system, CLEARFIL BOND SYSTEM F, then the first self-etch adhesive system, CLEARFIL LINER BOND 2, and now the revolutionary adhesive system, CLEARFIL SE PROTECT. As with CLEARFIL SE BOND, CLEARFIL SE PROTECT contains the same proprietary self-etching, light cure technology, plus two additional proprietary technologies; long-term Fluoride release and the MDPB monomer, which has an antibacterial cavity cleansing effect. 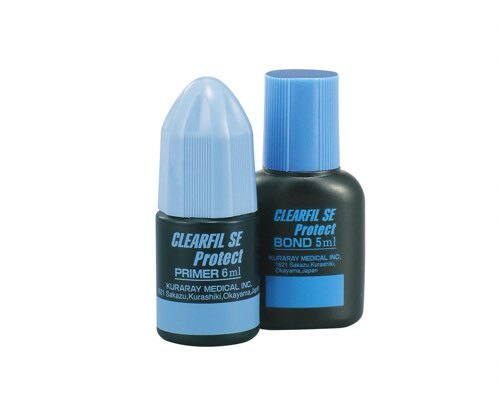 CLEARFIL SE PROTECT, while having the same physical properties, features and benefits as SE BOND, is actually more than an adhesive bonding agent… it is a revolutionary adhesive. CLEARFIL SE PROTECT, like SE BOND is very easy and fast to use, has minimal dentin decalcification, maximum marginal leakage protection, very high dentin bond strength, and lower post operative sensitivity. 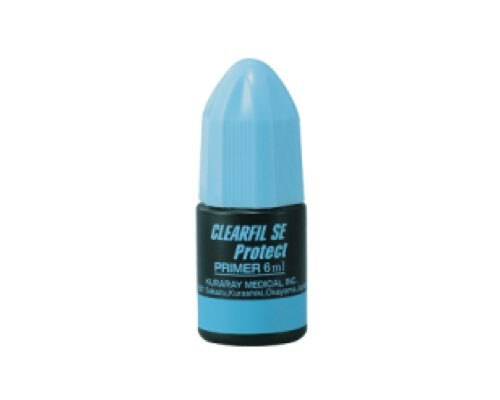 CLEARFIL SE PROTECT provides the same standard-defining properties that has made CLEARFIL SE BOND the market leader plus two other clinically significant technologies: Fluoride release and newly developed MDPB monomer. For indications (1), (2),(3), (6) and (7), the device exhibits an antibacterial cavity cleansing effect.